Our next two stops were in the cities and collective area known as the "Seat of the Conquistadors." 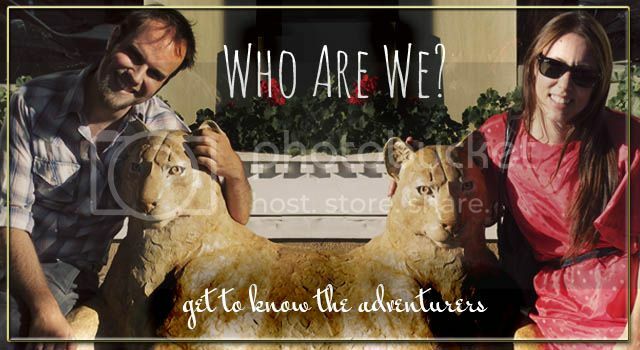 It is so named because a majority of the Conquistadors came from this area. It is isolated and barren and, at time of Columbus, full of nobles with nothing to lose and much to gain. 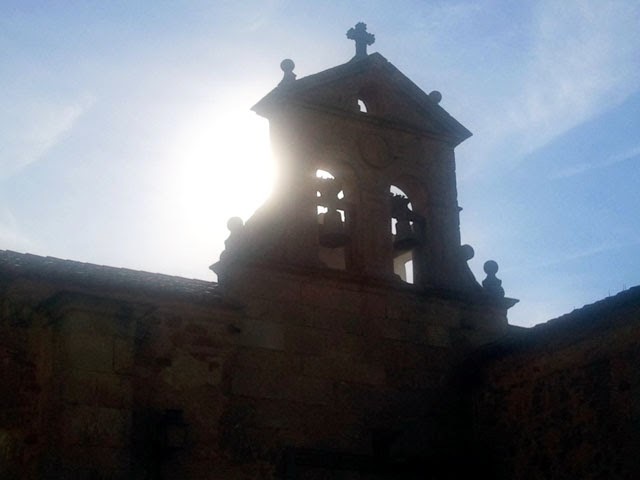 After their success in the New World they returned to Spain rich and the towns of Trujillo and Caceres flourished. 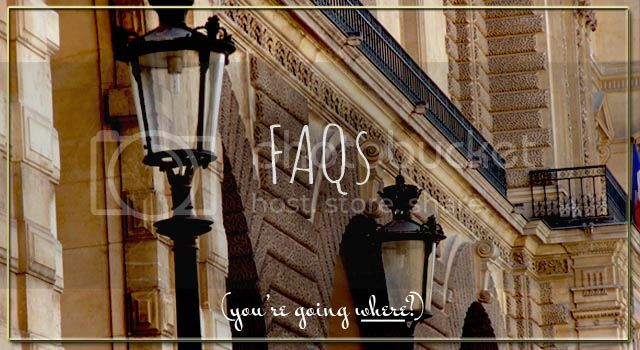 Since that time, not much has happened in the area, so both of the towns are known for still possessing their 1500's charm. First we stopped for lunch in the hilltop town of Trujillo. After a rather underwhelming Sunday brunch, we headed out and explored the walled city. Tight streets curved and looped their way higher and higher until you were at the top with a view of the surrounding area. 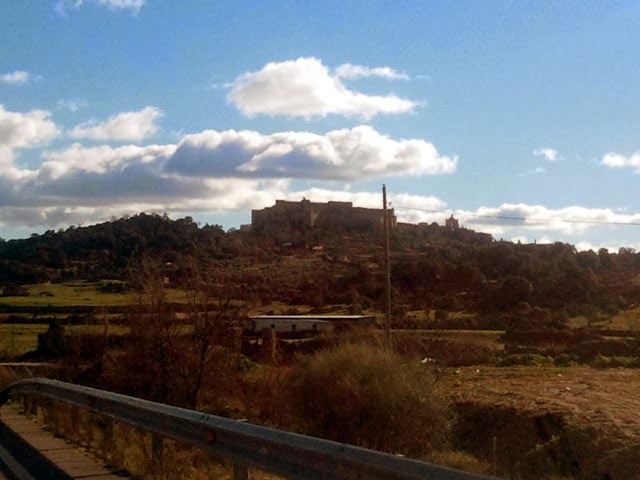 The hilltop city of Trujillo from the car. 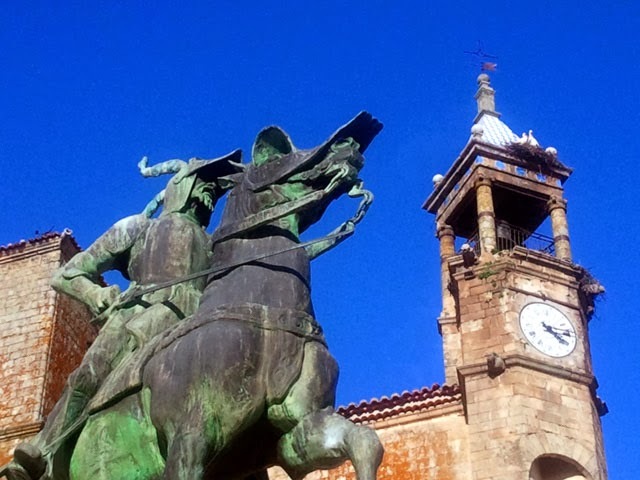 A statue of Pizarro in the town square, with storks perched on top of the tower in the back. After our exploration we hopped back in the car and headed to Caceres for the evening. We arrived late at night and found a cute little hotel right on the town's main square. After drinks while watching a La Liga game, we headed to the restaurant next to our hotel for dinner and another La Liga match on TV (they love their La Liga in Spain). We decided on a Tapas evening and ate cheese until we felt like we might burst. The next morning we headed out to explore the city before moving on. It was much like Trujillo, tight streets winding this way and that. But unlike Trujillo, it wasn't on much of a hilltop, so the walking was much flatter. We entered a Church and made our way all the way up to the bell tower and got a good view of the city. 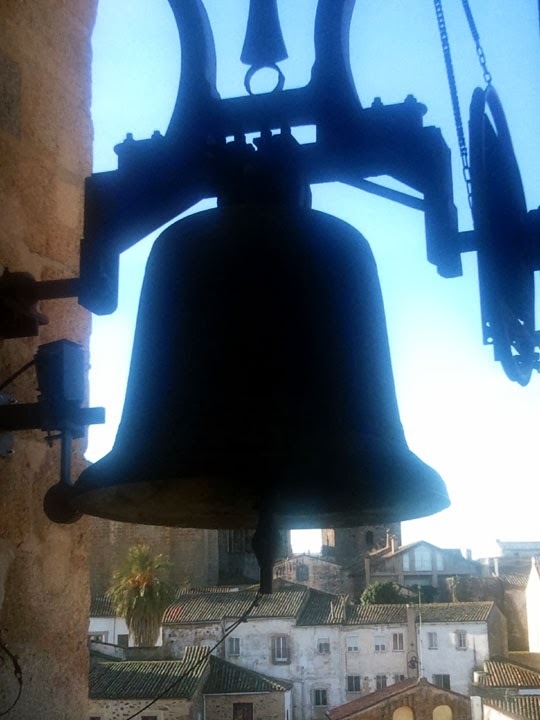 One of the bells in the Bell Tower, with the city beyond. 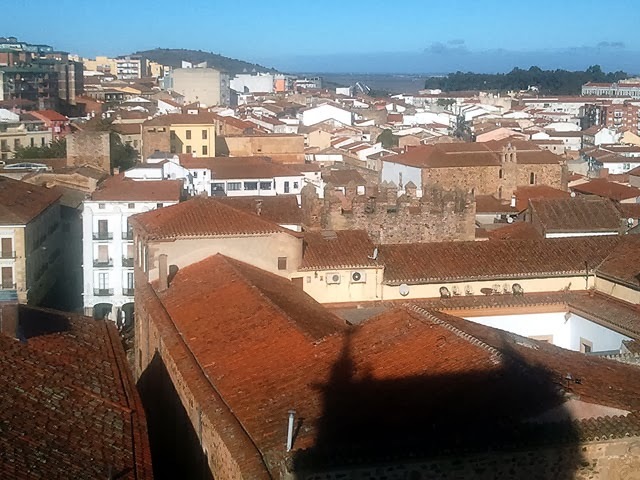 The view of Caceres from the Bell Tower. 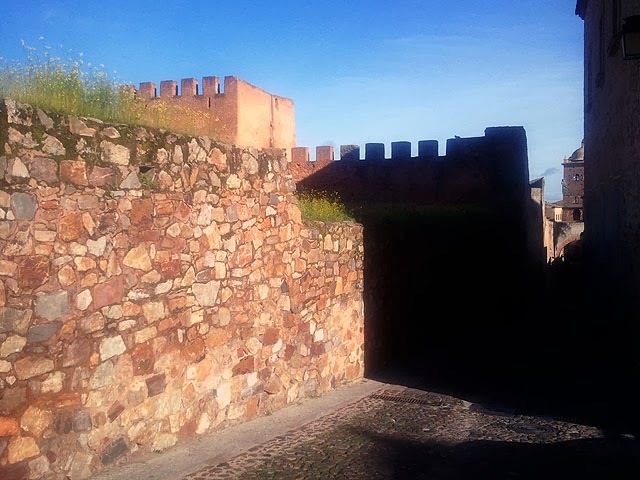 The wall surrounding the old city of Caceres.